Marilyn Monroe, unknown at the time and named Norma Jeane Dougherty, photographed by the U.S. Army in late 1944. 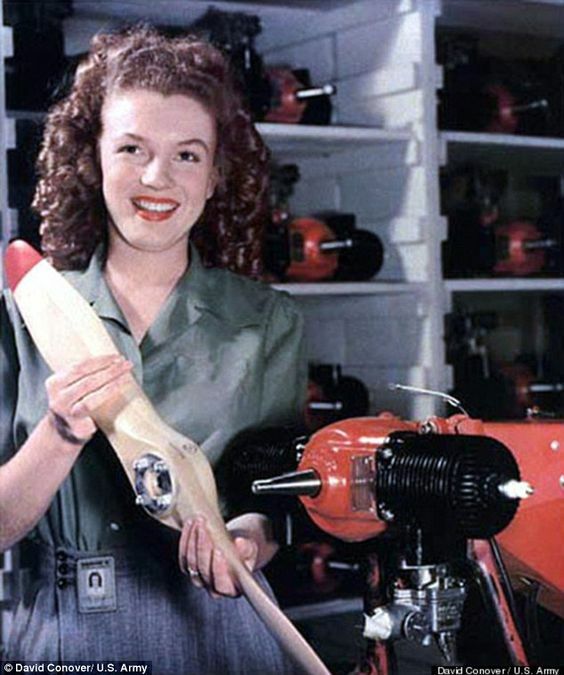 She was working at the Radioplane Munitions Factory in Van Nuys, California making drones. These shots - never used by the army - began her entire later career (David Conover, US Army). 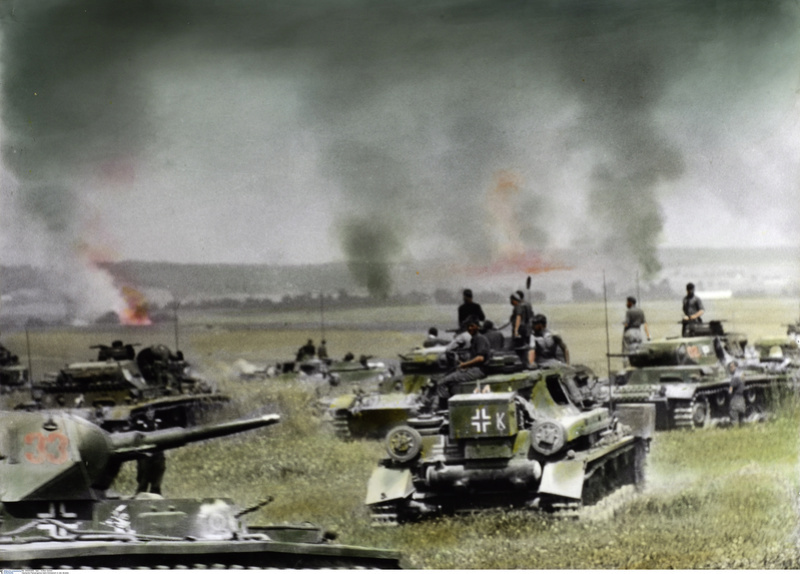 Reviewing color photographs of World War II, including those that have been faithfully colorized, gives new insight into the war. Color film was available during World War II, including motion picture film, but it was extremely expensive. Only the well-heeled could afford it, and many publications that could afford it used black and white film anyway because that is how their publications were printed. Here, we have some of my favorite color shots from the war. 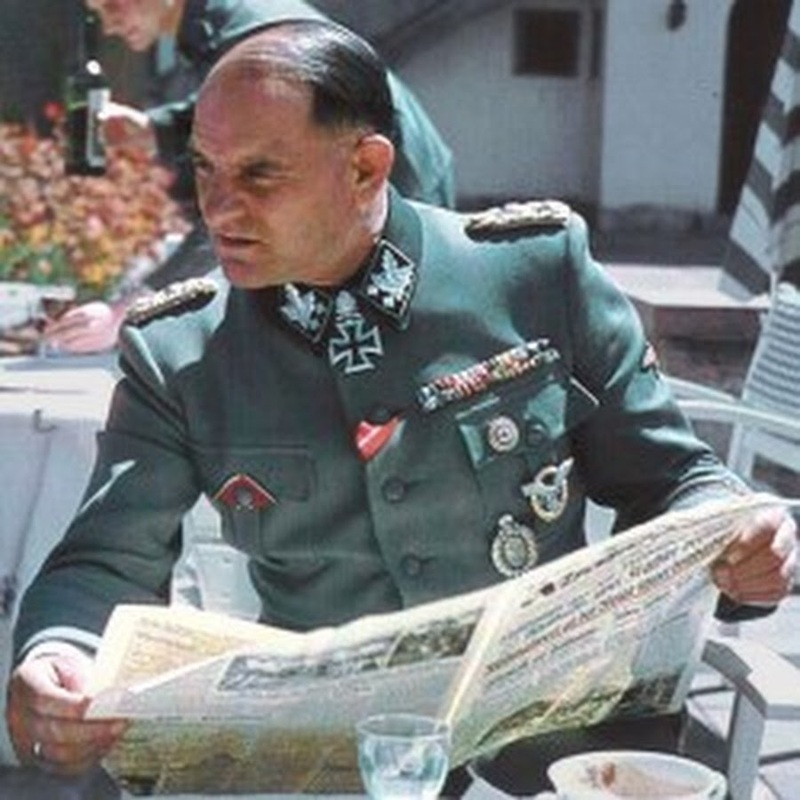 They come from a variety of sources, including US and German magazines, screen grabs from color motion picture film, and colorized shots of black and white originals. I try to give a broad selection of photos in these general categories. However, I do talk about some of these topics in much greater detail elsewhere so you might wish to explore further. Thanks for stopping by, hope you enjoy your stay. 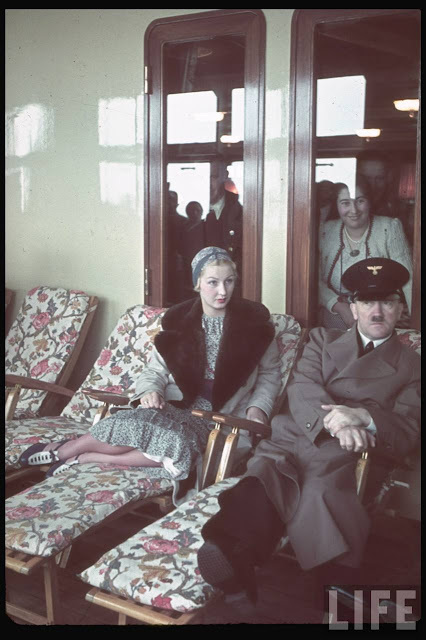 Inge Ley (wife of Labor Front boss Robert Ley) and Adolf Hitler aboard the KDF cruise ship Robert Ley on its maiden voyage. There were rumors that Hitler "liked" Inge and kept her husband around so she would be handy. 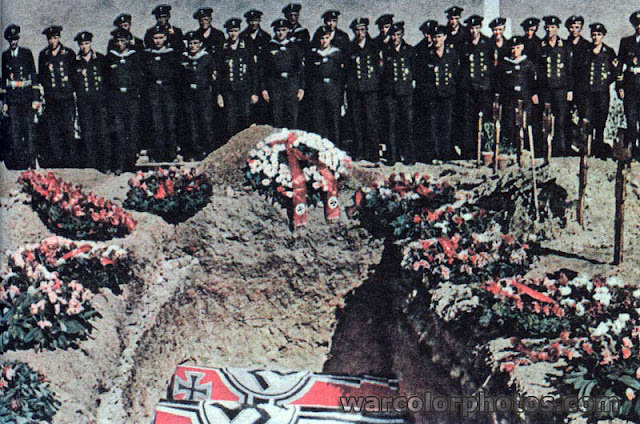 Like many of the women Hitler "liked," she wound up committing suicide, in 1942. 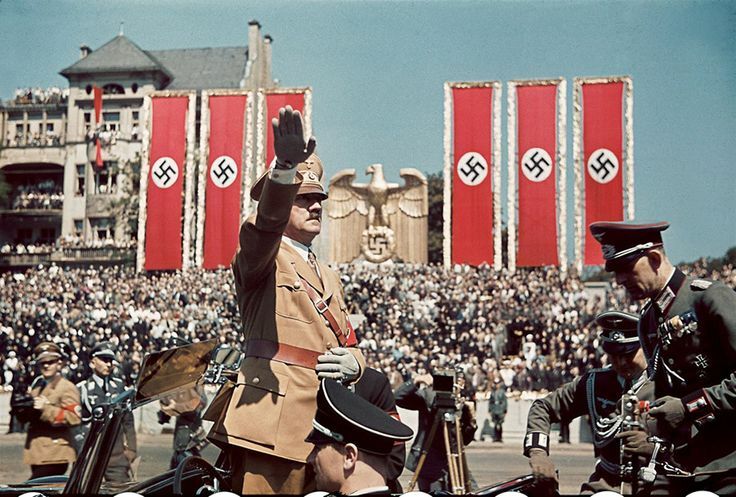 Inge was a moderating influence on Hitler, and it is interesting that he made increasingly bizarre decisions after her death. Incidentally, Inge was an imposing and attractive woman, that shot does not do her justice. 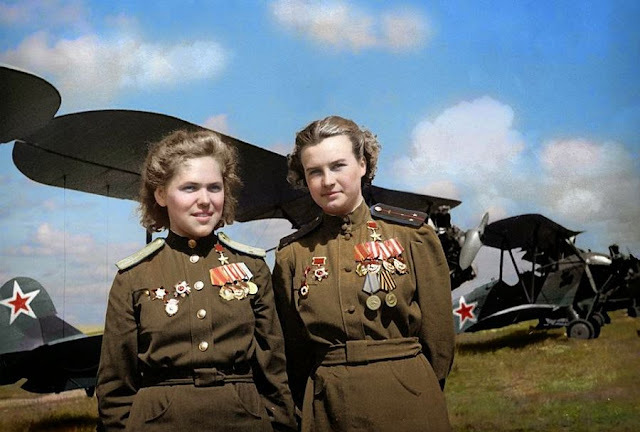 Soviet "Night witches" Major Rufina Sergeyevna Gasheva, a navigator of the 548th Night Bomber Regiment (848 night combat missions), and Major Natalya Fyodorovna Meklin, a pilot (and commander) of the 46th Taman Guards Night Bomber Aviation Regiment (980 night combat missions). Both were named Heroes of the Soviet Union, a very big deal akin to the US Medal of Honor. Behind them are Polikarpov Po-2 light bombers, useful precisely because they were obsolete and thus plentiful (colorized by Olga Shirnina, also known as Klimbim). Bf 109 E-3 of JG 3 In France. 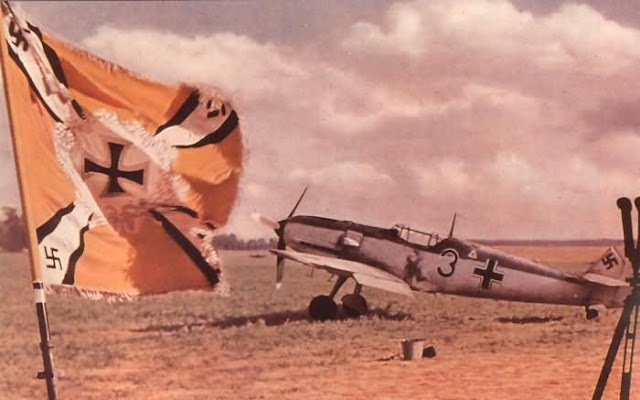 This is in "Luftwaffe in Colour: The Victory Years: 1939-1942" by Christophe Cony and Jean-Louis Roba. 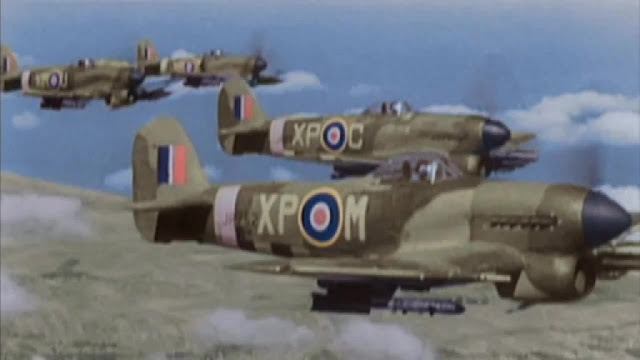 RAF fighters, a screenshot from original color war footage. 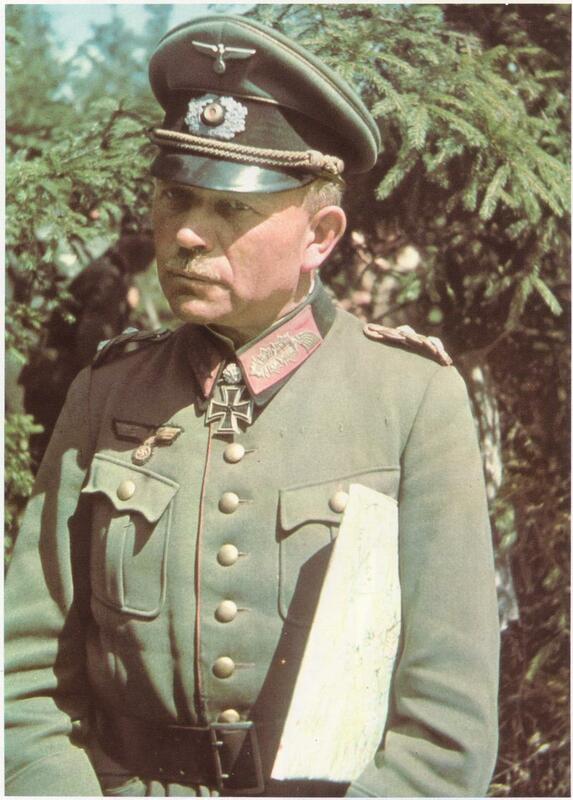 SS-Obergruppenführer und General der Waffen-SS Josef "Sepp" Dietrich (Commanding General of I. SS-Panzerkorps "Leibstandarte" and later commander of an SS army at the Battle of the Bulge). He is seen here chatting with photographer Heinrich Hoffmann at the Berghof in Berchtesgaden in spring 1944. This photo may have been taken by Eva Braun, who took a lot of photographs at the Berghof in casual settings. 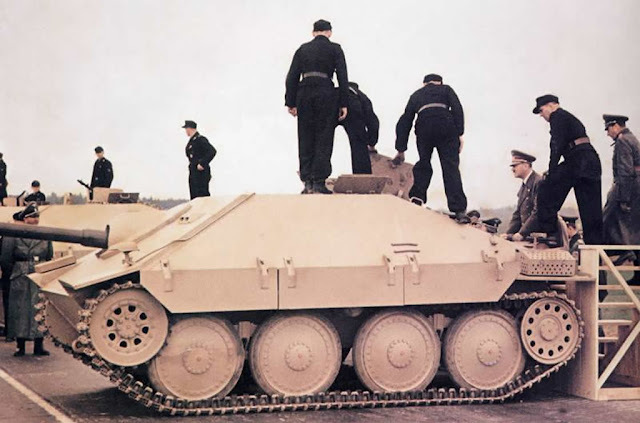 Hitler Inspects a Jagdpanzer 38 (Sd.Kfz. 138/2) "Hetzer." This was based on the Romanian "Mareşal" tank destroyer and built using Czech plants. 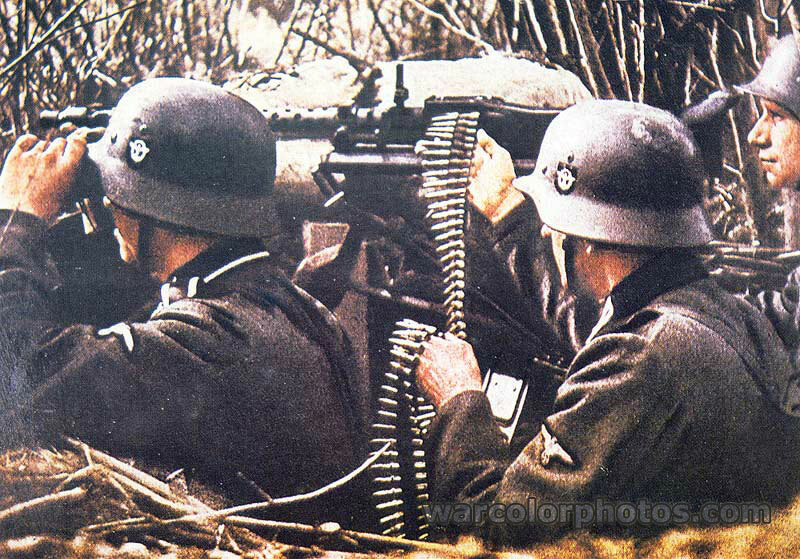 Some were converted into flamethrowers late in the war and saw service on the Western Front. Performance was pretty satisfactory because it had a low profile and could be relatively easily hidden for ambushes. 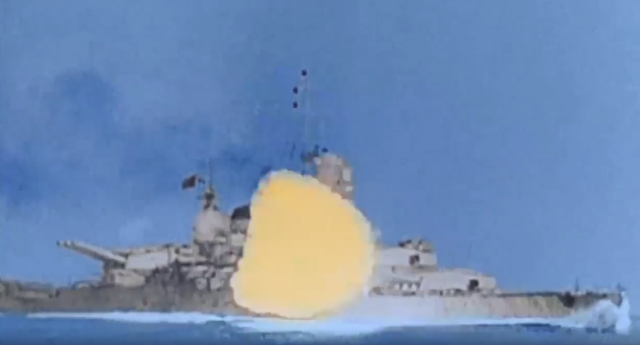 Firing the main guns. Screen capture from color footage. 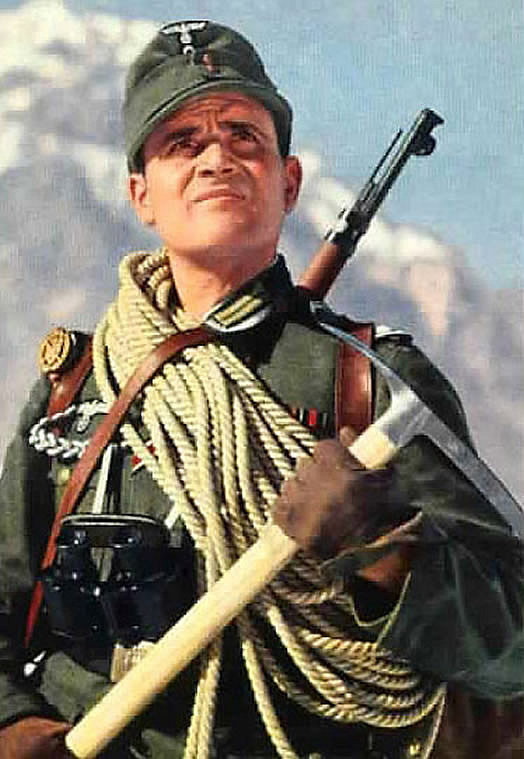 A Wehrmacht mountain (Jaeger) trooper. 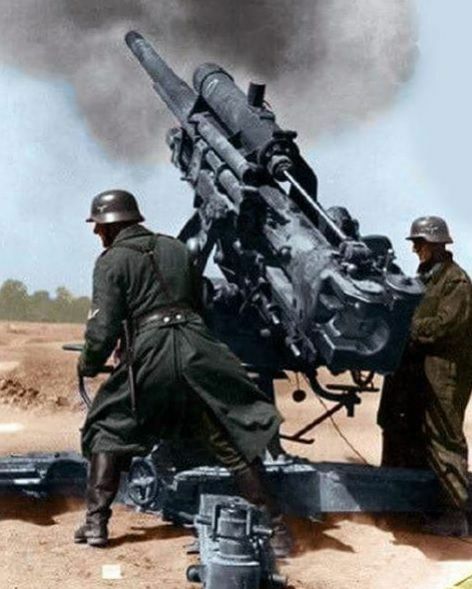 A German 88mm FLAK gun in action. German panzers invading Poland. 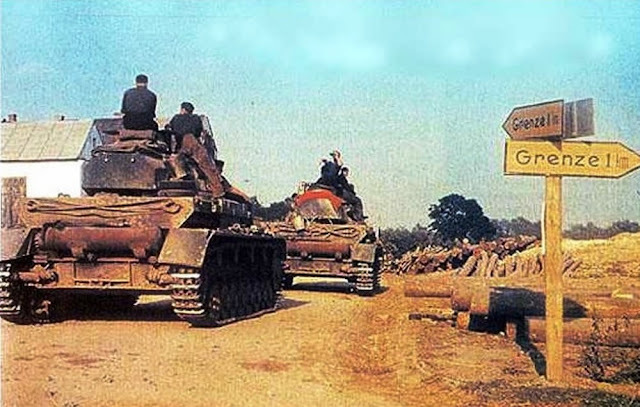 "Grenze" means "border" in German. 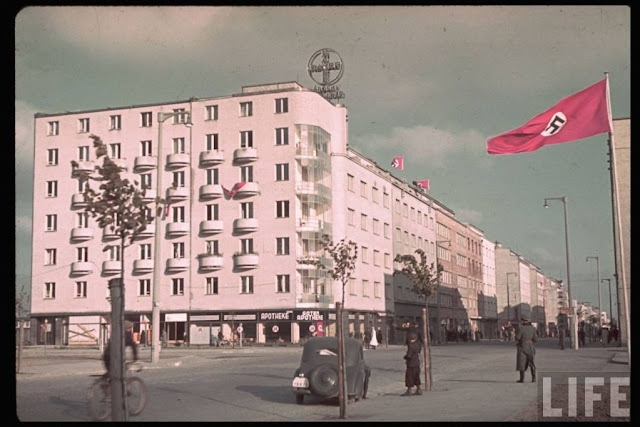 Gdynia (Gotenhafen to the Germans) after the invasion in 1939. Life magazine. Panzergruppe Kleist Armed with Panzer III F and Gs during the opening stage of Operation Barbarossa in 1941 (colorized). 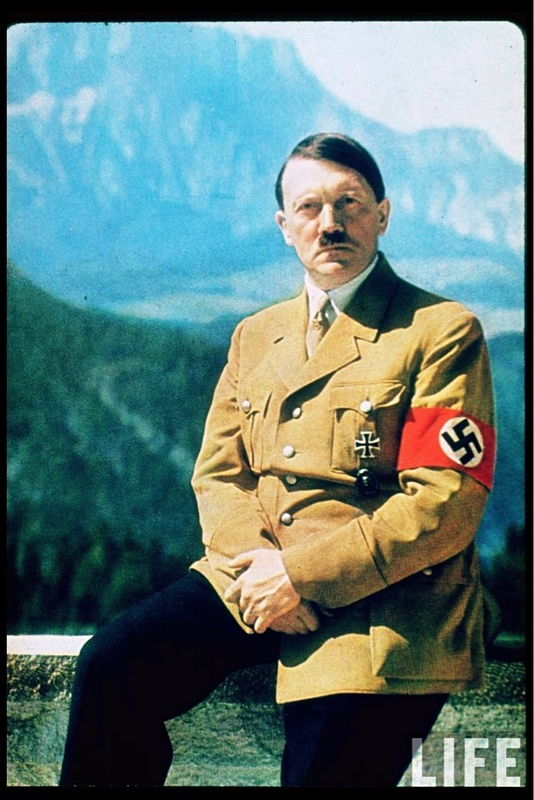 A Life Magazine shot of Adolf Hitler at the Berghof, Berchtesgaden. 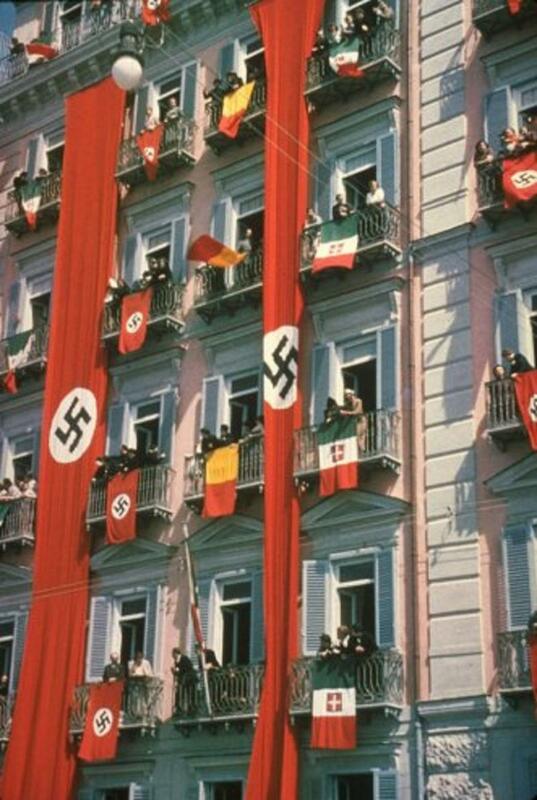 German and Italian flags flying side-by-side during a state visit in 1938. 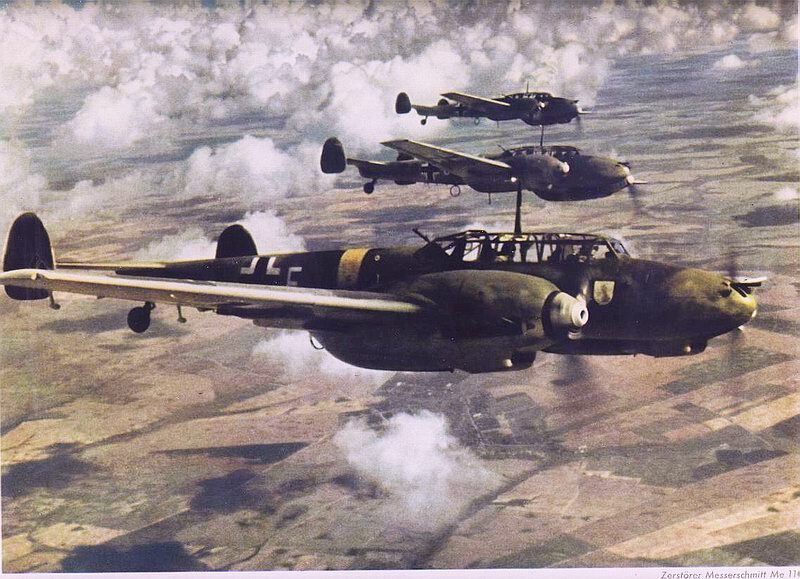 Bf 110 G-6s (Destroyers) over Russia. 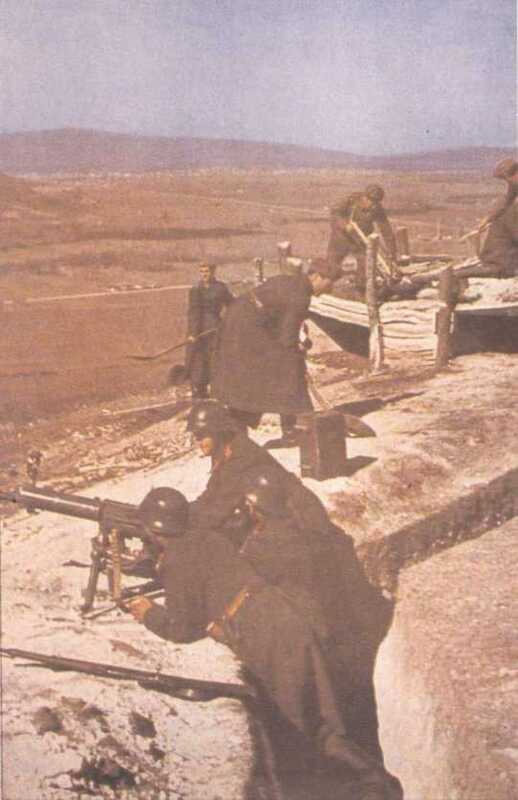 An MG-34 machine gun nest (Signal magazine). 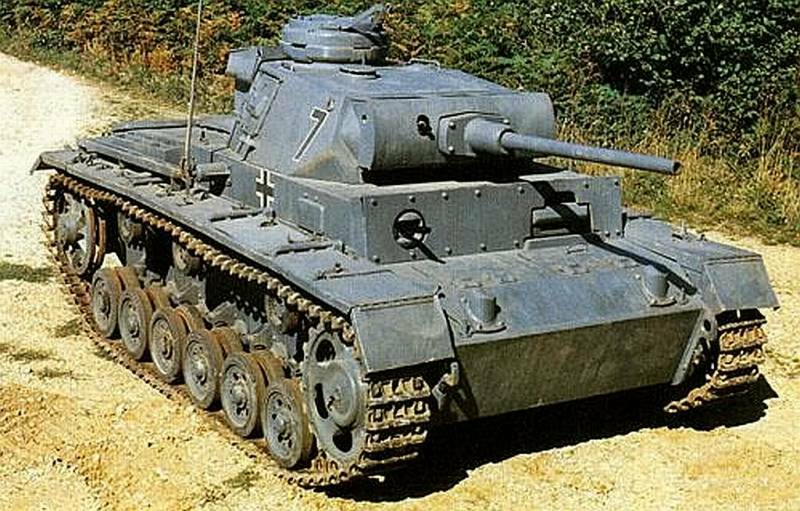 German Panzer III with the upgraded (50mm long L/60) gun. 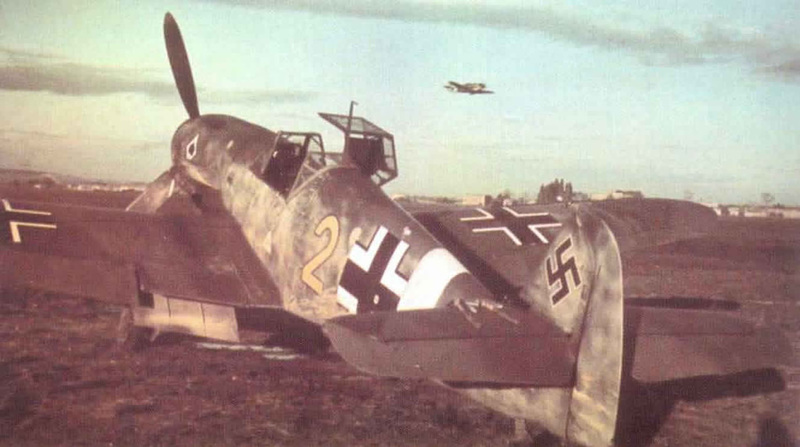 A Bf 109 of JG 2. 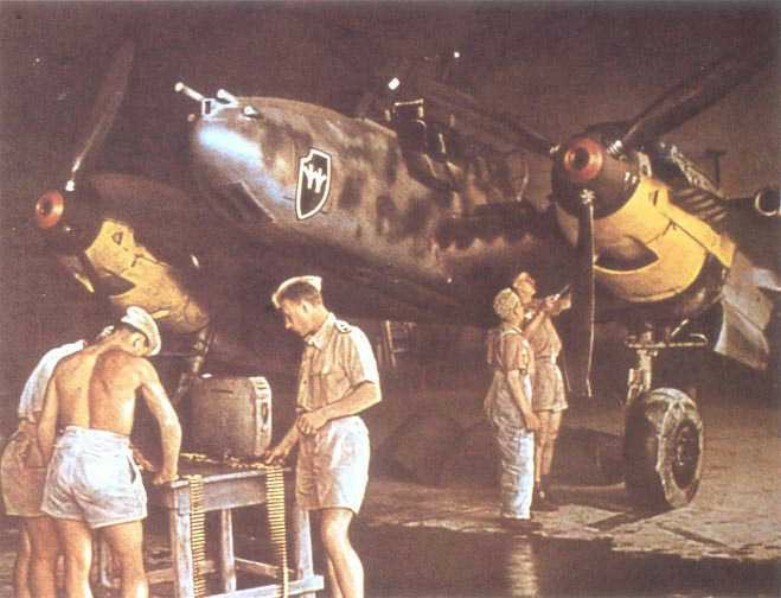 Working on a Bf 110 E-1. Mrs. Mary Betchner working at the plant, February 1943. 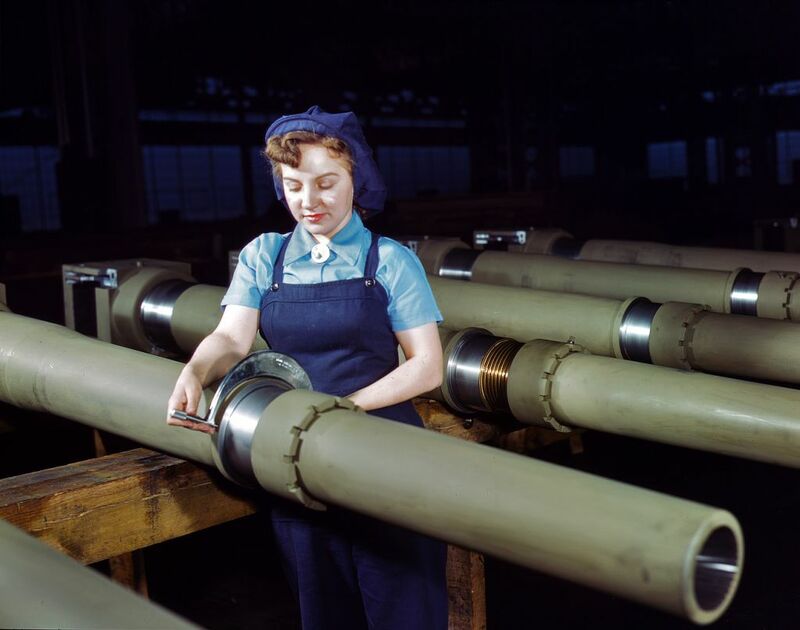 She is inspecting a howitzer shell at the Milwaukee, Wisconsin plant of the Chain Belt Co. Mary's son was in the army, and her husband also was in war work. 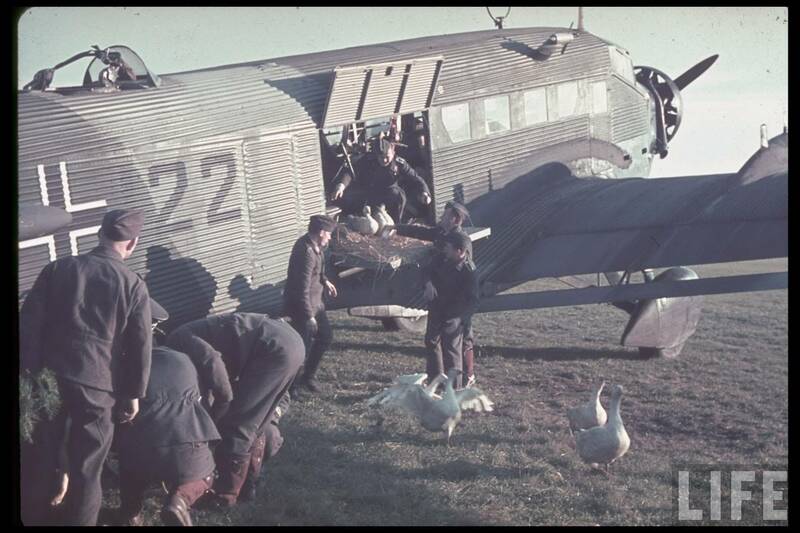 Loading some geese on a Junkers Ju 52 (Life Magazine). 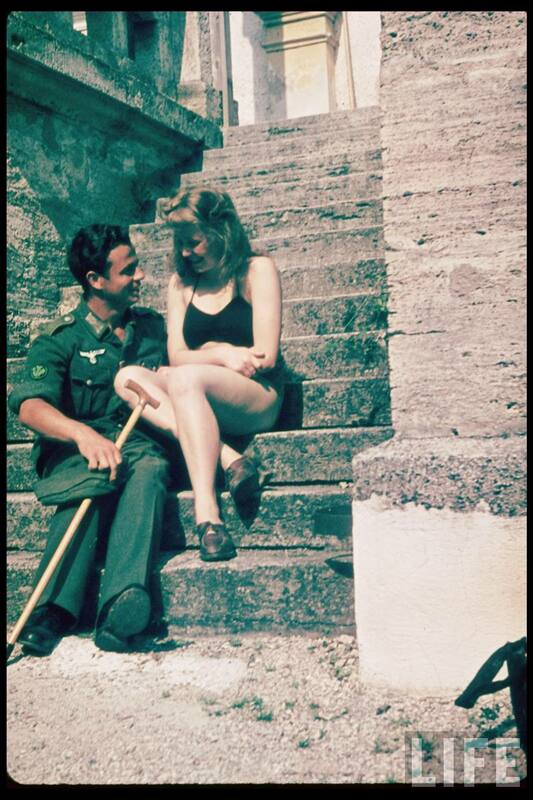 A convalescing German Jaeger soldier romancing a local girl. 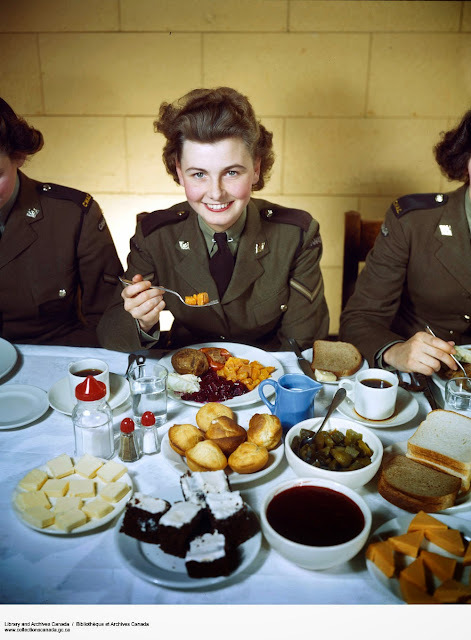 A Canadian Women's Army Corps (WAC) during the war. 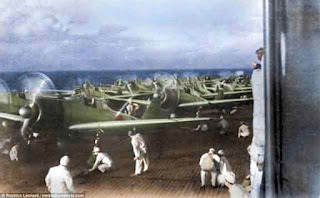 This apparently was in color in the original. 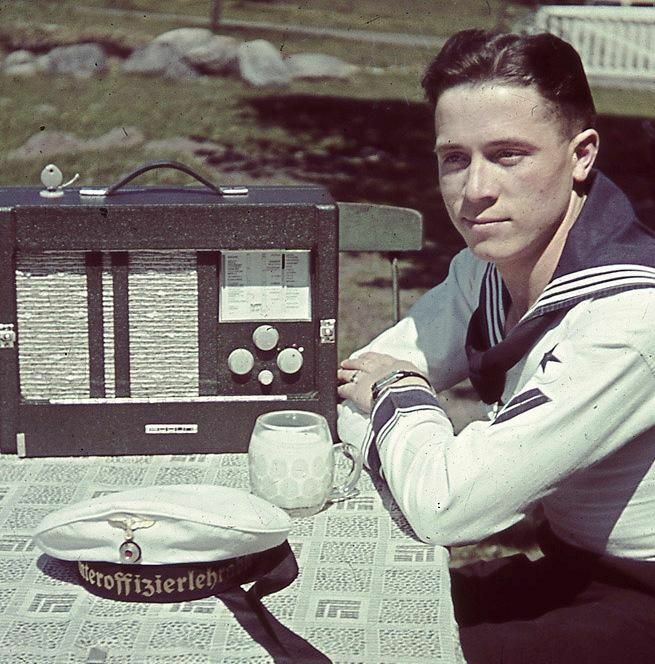 A member of the German Navy (Kriegsmarine) during the Third Reich (Life magazine). A pre-war rally in Germany (Life magazine). Eva Braun and Hitler at the Berghof.